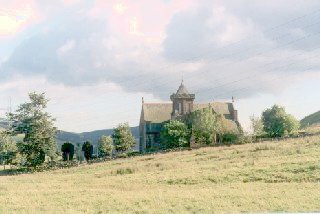 Situated at the confluence of Elvan Water and the River Clyde southeast of Douglas at an elevation of 274m (c.900 feet), Elvanfoot is arguably the first village on the Clyde, nearest its source. It developed as a road and rail junction, a branch line to the lead mines of Leadhills and Wanlockhead operated from 1901 to 1939. It possesses a fine 19th-century church and a tollhouse which was visited by Robert Burns (1759-96).